Ember Yard is the fourth restaurant in the Salt Yard group. 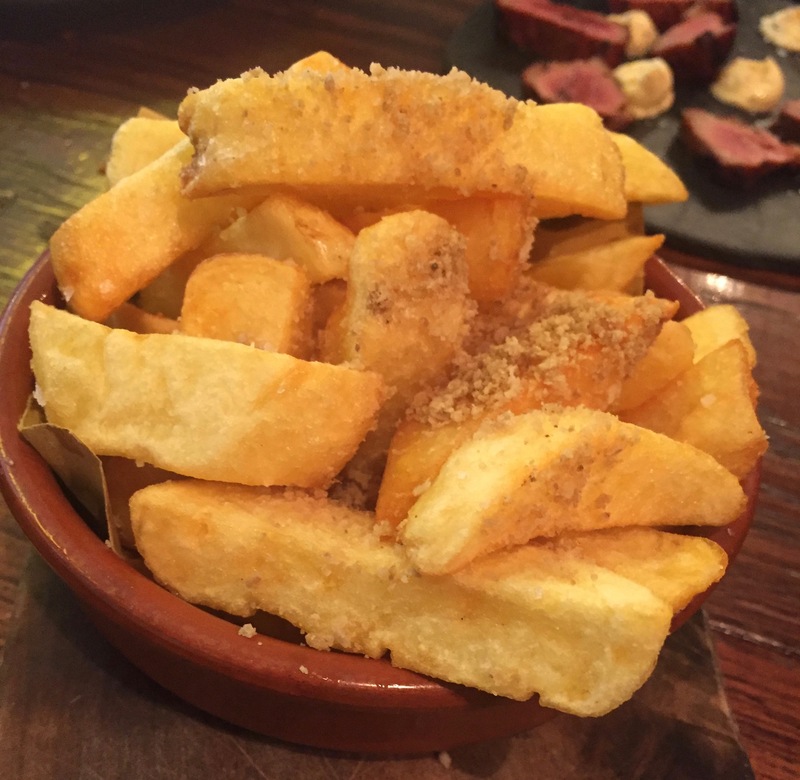 Everything on the menu is cooked on a custom-built, bespoke Basque-style grill (hence the embers) and dishes have both Spanish and Italian influences, particularly from the Basque Country and Tuscany. I discovered afterwards that the head chef, Jacques Fourie, is South African which kind of makes sense with the SA passion for braaing (barbecuing). But these are no basic barbecue dishes, they really are something special. And as well as grilled delights you’ll find great charcuterie and cheeses from both countries. 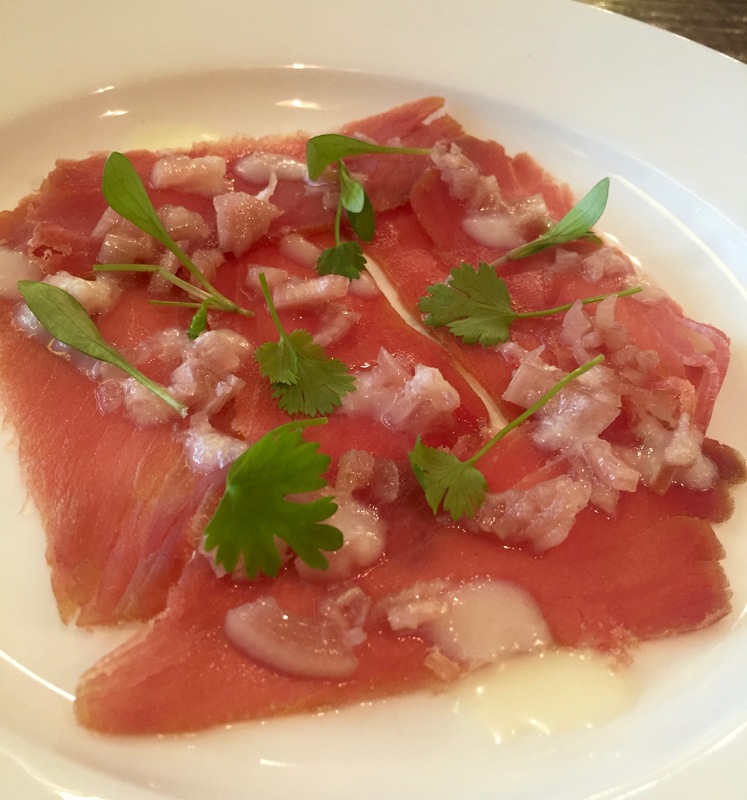 The thinly sliced carpaccio-style tuna was beautifully tender and topped with a zesty oniony marinade. And then for a real vegetable revelation. 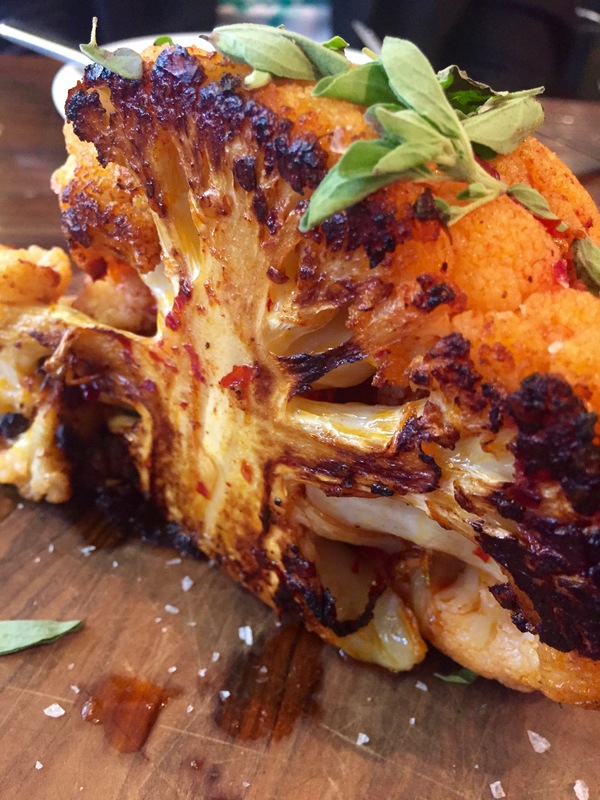 Cauliflower coated with harissa, honey and oregano and wood-roasted. 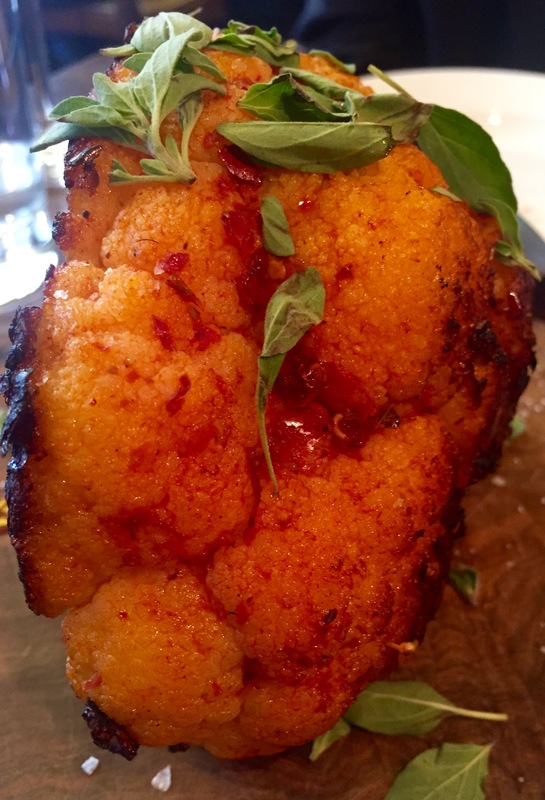 Never has cauliflower tasted so good or looked so beautiful. 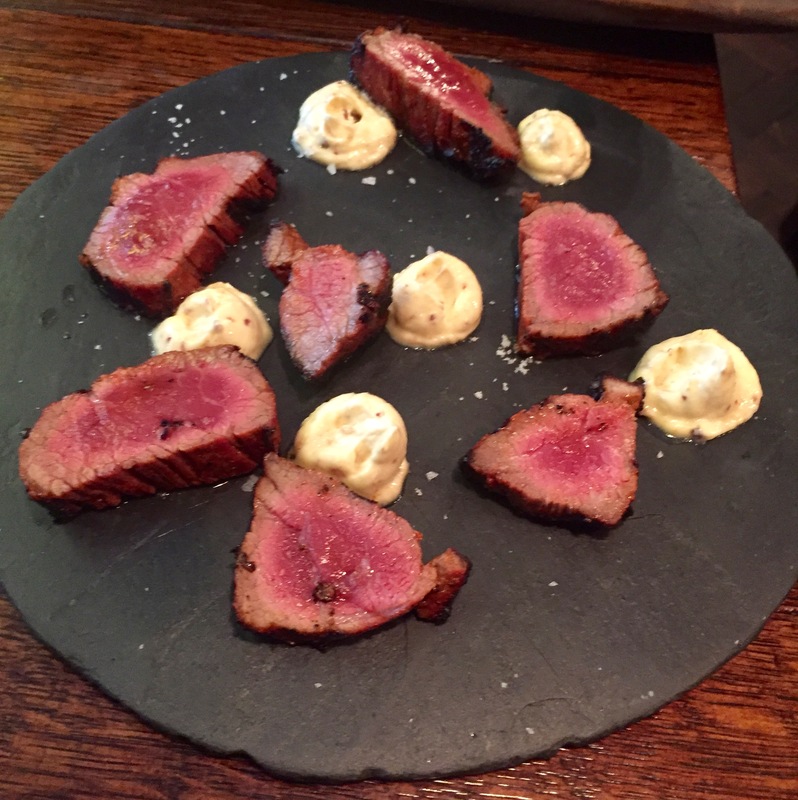 And here’s another masterpiece – chargrilled Iberia Presa with whipped jamon butter. Presa is a special flavourful, melt-in-the-mouth cut of pork that comes from the free range acorn-fed Iberia pigs indigenous to Spain. It’s pork like no other pork and the butter is something incredible. 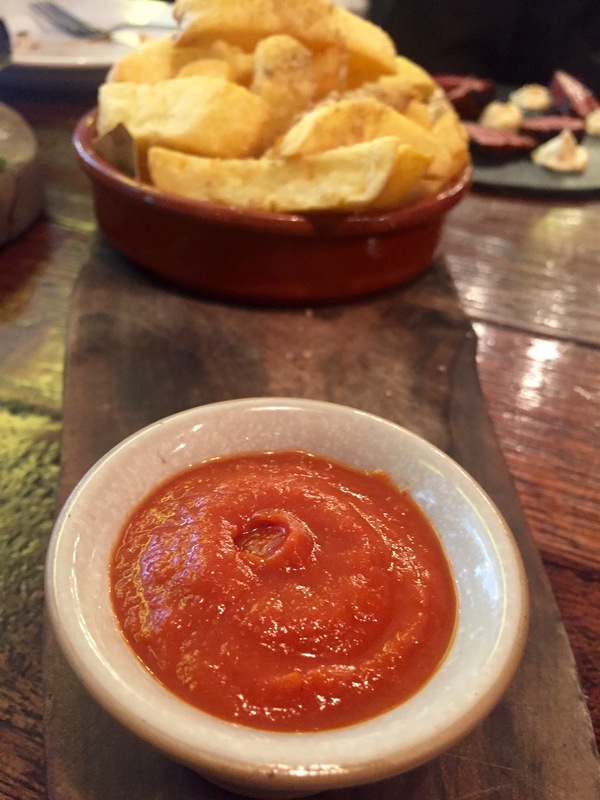 The crisp, Iberico pork fat chips are served with chorizo ketchup. If we could all cook like this over fire, all ovens should be abandoned at once. Seriously. Our four dishes cost £31.50. Our bottle of Rose cost £30. It is such a lovely restaurant with a menu full of clever ideas.